A Chelsea mother and grandmother have been sentenced in the death of a 12-year-old girl, the Oklahoma State Bureau of Investigation reported today. In April of 2017, Chelsea Police Department requested OSBI investigative assistance due to the death of the girl. 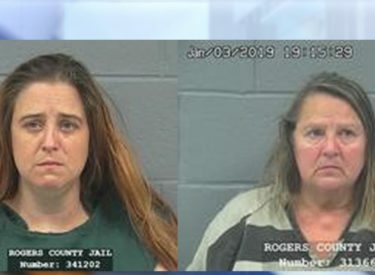 The mother of the female child, 36 year old Jennifer Spurlock, and the grandmother of the child, 60 year old Velva Patteson, both of Chelsea, were arrested on charges of Second Degree Murder. Both Spurlock and Patteson failed to seek medical attention for the child after she injected several of Velva Patteson’s prescription medications, which resulted in the child’s death. Spurlock and Patteson entered blind pleas in Rogers County District Court. Spurlock was sentenced to 20 years in prison and Patteson was sentenced to 10 years in prison.